Enterprise marketing and development resources have come along way in recent years. Features and functionality that were previously only available with extensive custom software development are now being provided as out-of-the-box capabilities of leading enterprise software vendors such as Adobe, Microsoft, Oracle, SAP, and Salesforce. When we talk to clients about using technology to efficiently and effectively engage with people, we cover a gamut of topics. Depending on the business challenge that needs solving, we can build global multi-brand experience platforms, or orchestrate omni-channel campaigns that communicate with users across email, SMS, and push notifications. For other use cases, we can develop personalized experiences based on real-time user activity, or even leverage artificial intelligence to generate insights and audience segments. Collectively, these products are part of the Adobe Experience Cloud, a collection of integrated products that allow companies to solve a wide variety of problems including what I spelled out in the second paragraph. For global multi-brand experiences, there is Adobe Experience Manager; for multi-channel campaigns, Adobe Campaign; for personalized experiences, Adobe Target; and for insights using AI, there is Adobe Analytics. When used well, these tools can provide companies with opportunities to better interact with their customers, increase share of market, and reduce costs. When used poorly however, these tools can provide headaches to CMOs who are trying to move quickly, CIOs who are trying to deploy them, and especially CFOs who are trying to justify the significant expense associated with the stakes. As one of the key thought leaders in the Adobe space with a breadth and depth of skills across the entire Adobe Experience Cloud, HS2 Solutions was interviewed for this report. You will find our insight throughout, including direct quotes from our CEO Phil Hollyer and me. In the report, I am quoted about the importance of working within the Adobe Experience Cloud platform and not reinventing the wheel. This is a key success criterion for Adobe projects and why we invest so much time and effort in ensuring we are the experts on the features and functionality of the Adobe Experience Cloud products from AEM to Campaign to Analytics. Hollyer is also cited in the report discussing the importance of simplification and consolidation of components to minimize the scope and cost of an engagement without sacrificing functionality. As a service to our customers, we are making “Ten Ways To Get The Most Out Of Your Adobe Investment,” available for download. We enjoyed participating in this research for the Forrester report and look forward to continuing to help all of our clients maximize their Adobe Experience Cloud investment. Bounteous, a full-service digital brand experience agency, is the recipient of the 2018 Emerging Partner of the Year Award by Adobe, a global leader in digital marketing and digital media solutions. The award, presented at Adobe Summit Partner Day in Las Vegas, is given to Adobe’s top partner that has shown the most growth and sophistication in helping clients take advantage of realizing the benefits of Adobe Experience Cloud. Bounteous was selected for this award from thousands of partners in the Adobe partner ecosystem. Bounteous specializes in Adobe Experience Cloud implementations and integrations with a focus on building scalable platforms that are built to last and grow. With both the customer and content author in mind, Bounteous’ enterprise-wide, multi-brand platforms enable marketers to generate entire websites that leverage a wide variety of custom components. Bounteous has success across multiple industry verticals and solution areas. Bounteous developed an Experience Manager solution for a multibillion dollar automotive parts company that enabled seamless internalization to launch over 70 sites, across 60 countries, using 10 different languages, in a single year. Bounteous has also helped one of the nation’s largest foodservice distributors transform its brand experience using Experience Manager, integrating an eCommerce experience with lead capture and personalization. The Emerging Partner of the Year Award rounds out some impressive milestones for Bounteous’ Adobe practice in recent months. 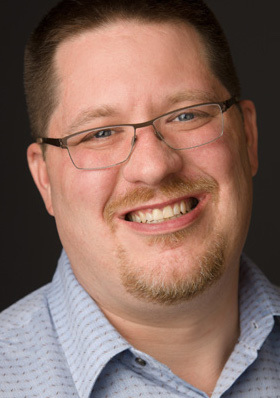 Bounteous’ Adobe Solution Architect Brett Birschbach presents at Adobe Summit as an Experience Manager Rockstar finalist – one of just four in the world – on Wednesday, March 28. Bounteous’ is also recognized as an Experience Manager Specialized Business Partner, one of very few firms in the country with this distinction. Investing in the purchase and configuration of an enterprise technology platform is a significant investment for any company. This investment includes the time spent evaluating the options, infrastructure and servers (if it’s not in the cloud), training for your team members, licenses costs, consulting fees, and implementation costs. It can all be a little overwhelming. When you find yourself in this situation, the important thing is to focus on maximizing the value that you get from your investment. The most successful organizations not only make strategic investments in world-class software; they ensure that their people, processes, and platforms are all aligned on delivering long-term value. The Adobe practice at HS2 Solutions has worked with many organizations setting the strategy and implementing the tactics necessary for them to implement the Adobe Experience Cloud products including Adobe Experience Manager, Adobe Analytics, Adobe Audience Manager, Adobe Target, and Adobe Campaign. We are an Adobe Business Partner with a Specialization awarded by Adobe in AEM. Not only do we have a large number of certified developers and architects, we have proven our value by our contributions to the ACS AEM Commons library as well as being a finalist for the Adobe Rockstar award at Adobe SUMMIT 2018. We’ve shared with you our perspectives on how to effectively understand Personalization in your organization and how Experience-Driven Commerce can distinguish a brand. Now it’s time to share our perspective on how we help our clients make the most of their Adobe investment at HS2. In the course of this work, we have uncovered the following five items that are critical to getting the most value out of your investment in the Adobe Platform. When an organization makes an investment in a piece of Enterprise Software like the components of the Adobe Experience Cloud, they are often looking to solve a specific business problem such as driving engagement, lowering costs, increasing revenue, etc. Based on this, they will be searching for software that has specific features and functions that they need and make a decision based on that. However, in almost every situation the features that are most important to you are only a subset of everything that the platform delivers. These Enterprise software products are the work of literally millions of hours of software development. When you license a product like AEM you are not only getting the functionality that you need, but you are getting hundreds of features and functionality that you may not even be aware of. Additionally, in today’s world, the velocity of software releases is only increasing. It seems like every 12 months a new version of your software products is coming up. Organizations have two choices, avoid all upgrades and stay on outdated software until it is end-of-lifed by a vendor, or they can keep current and upgrade their software on a scheduled basis and take advantage of the countless investments that are being made in the new product. AEM 6.4 is going to be on the market soon and those organizations that can take advantage of the tool’s features and benefits are going to be the ones that can outperform their competitors. Also, if your software provider or solution partner is telling you it is difficult/risky/expensive to upgrade your platform, it may be time to find a new provider. Take the time to learn and understand all of the capabilities that the software has. You are paying for it, after all. One of the advantages of working at a consulting firm like HS2 is that we get the opportunity to peak inside various organizations. We get to learn from seeing what is driving organizations to be successful and thrive, and sometimes we are brought into help with challenges that organizations are facing. But just because you aren’t a consultant, doesn’t mean you can’t look outside the walls of your organization to find insight. In today’s information-rich society, there are countless opportunities to learn from many other organizations and harness their insights. Forrester and Gartner both provide excellent research on market trends that can inform your thinking and strategy. Industry and software conferences provide great opportunities to see what has driven success (and failures) in companies that are not your own. Adobe webinars will often share some of the most exciting things that are being done with the product. Even going to local meetups and networking events can help you learn that critical approach or use case that may be the difference between your project’s success or failure. Another area to look for leverage is by looking to open source software. While the term “open source” and “Adobe” might not seem like they go together, in reality they do. That’s because AEM is actually built on a number of open source projects including Apache Sling and Apache Jackrabbit Oak. There’s even an open source CMS project called Peregrine that uses many of the similar open source libraries as AEM. In the AEM world, the majority of the open source content is wrapped up in a single library known as ACS AEM Commons. ACS AEM Commons provides a library of a wide variety of tools that enable you to leverage some of the best minds in the AEM developer community (by the way, HS2 Solutions is the No. 1 non-Adobe contributor to ACS AEM Commons). Today there is also a marketplace where you can find integrations and components for your Adobe Solution called the Adobe Exchange. This can be a great opportunity for you to extend the functionality of your platform often at a fraction of what it would take to build yourself. One of the biggest opportunities we see for efficiency, particularly in large organizations, is to increase reuse of the platform. In many siloed organizations, the right hand might not know what the left hand is doing. The Information Technology team may be working on some new User Experience in the checkout flow, the Marketing team may be designing new landing pages for its latest campaign, and the PR team may be undertaking a rebranding of its investor relations section. With all of these initiatives going on in parallel, there is the likelihood that there could be three different versions of the same style created. This problem is going to get even more acute as tools like AEM put features like page template creation directly in the hands of content authors. Fortunately, there are a couple things you as an organization can do to mitigate the risks of one-offs and promote reuse within your organization. The first and most obvious one is getting your organization to coalesce around an AEM style guide. By having an easy to use and automatically generated style guide at the disposal of everyone in the organization, you can promote reuse of components by making it the path of least resistance. Another approach that is valuable to promoting reuse is the establishment of either a Center of Excellence or steering committee around your platforms. When used properly, Experience Management platforms like AEM should decentralize the decision making and empower non-IT individuals to control their own content and communication with their customers. Even in a decentralized organization, it is still important that all of the users of the platform regroup on a regular basis to share best practices, discuss challenges, and find solutions to shared problems. If it can be automated, it must be automated. One of the things that we see routinely in high-performance, high-output organizations is that they are constantly seeking opportunities to be more efficient with their scarce resources. Most often, the scarcest resource in an organization is getting individuals time to perform tasks. Additionally, if there are tasks that must be performed again and again, they can function almost as a tax on the organization. Look around your organizations for tasks that are performed multiple times within a given month or quarter and ask what could be done to make them automated. Two areas where we see high ROI on automation is around software testing and deployment. Software test automation is a gift that keeps on giving. While there are additional upfront labor costs with implementing test automation frameworks like Selenium or Protractor, you can greatly cut costs from your organization while concurrently increasing quality by developing robust tests suites to do things like regression testing or browser compatibility testing of your experience management suite. Another area that is a no-brainer to automate is software deployment. Having a tested, repeatable, and automatic suite of tools that can version, configure, and deploy your software products is a must-have for any organization with an IT department. You don’t need to go all the way to having a continuous deployment lifecycle (even though there is a value if you did) but just replacing the manual steps in your software release process will save the time of everyone involved and minimize the chance for error. The final method for maximizing your investment in the Adobe Experience Cloud and the one that can differentiate you the most from your competitors is to understand the entire Adobe Experience Cloud. The Adobe Experience Cloud is more than just a collection of standalone products like Adobe Experience Manager, Adobe Campaign, Adobe Audience Manager, Adobe Analytics, Adobe Target, and Adobe Media Optimizer. These products are built upon a robust layer of services, APIs, and integrations that when taken as a whole provide an entire toolbox for achieving business results. While AEM and Adobe Campaign are great tools on their own, when combined they are even more powerful. Unifying them will allow you to take your rich and valuable web content and deploy it to a variety of channels such as Email and Push. Using the People Core service to share attributes and segments between Adobe Analytics and Adobe Audience Manager can empower your marketers to create personalized and relevant campaigns for your prospects. Harnessing the power of Adobe Sensei to dynamically apply a taxonomy to your content can allow your entire Asset Library to be more useful for your end users. For advanced organizations, the growing Adobe I/O suite of tools and APIs are going to enable you to deeply integrate the features and functions of your Adobe tools into your own custom applications. The Adobe Experience cloud has a great deal of power and if you’re only looking at it narrowly as a suite of related products, you are missing out on the value you could be realizing. When Bounteous talks about personalization, we talk about Personalized Experiences and Personalization Capabilities as two related but distinct items. A Personalized Experience is a unique customer engagement that uses customer insight to deliver the right content at the right time via the right channel to get a user to undertake the desired behavior. Personalization Capabilities, however, are the combination of organizational capabilities including the processes, platforms, and people necessary to produce Personalized Experiences. Put even more simply, an organization’s Personalization Capabilities enable them to deliver Personalized Experiences to their customers. Additionally, if you want to create truly engaging Personalized Experiences, you need to focus on expanding your Personalization Capabilities. Think of it this way: In order for a painter to be successful, he or she at the most basic level needs to be equipped with the adequate resources to complete the task of painting. The painter can’t create a great work of art without the right tools – paint, brushes, and a canvas. From an article on Built in Chicago in July of 2017. Even if you’ve never heard of John Telford, you’ve probably encountered his work in the wild: Now Executive Solution Director at HS2 Solutions, one of his first jobs at the company was overseeing the development of the Domino’s pizza tracker. A former software developer, Telford switched career paths to become a technical project manager in order to have a bigger impact on the projects he was working on. In 2010, he received a call from his old employers, Phil Hollyer and Keith Schwartz, about joining their new venture. At the time, HS2 Solutions had 35 employees. Today, that number is closer to 150 — and Telford is responsible for overseeing client success. We spoke with him about the advantages of technical expertise in project management, the importance of work-life balance and how HS2 utilizes effective planning to help its employees avoid unnecessary all-nighters. What sparked your decision to move from software development to project management? I wanted to find ways to contribute as much as I can. Some project managers are primarily focused on reporting and communication, but in the technology world it’s very helpful to be able to actually sit down with team members to solve problems and make tradeoffs. Every problem we solve and every solution we build weighs competing forces around deadlines, cost and quality. Being a technical project manager allows you to help make those informed decisions taking everything into account. What are the most interesting trends you’re watching in your industry? Twenty years ago, when I was still a programmer, personalization was a big thing. But back then, personalization meant saying “Hello, John!” on the homepage. Now, personalization is about getting the right message to the right person at the right time through the right channel. That requires an orchestration of many different software solutions, data warehouses, analytical models, targeting and optimization tools and so on. There’s probably been more change in this field in the past 36 months than there was in the past 10 years because of things like cloud computing and AI. And I think we will see that continue to expand, because people will expect consistent digital experiences when engaging with their phones and their computers as when they engage with Alexa, Google Home or their cars. What are some concrete examples of ways in which these changes impact consumer experiences? Tesla. For many years, the automotive industry was driven by brands rather than features and functionalities. People think Tesla has a big focus on performance and style, but one of the things they don’t realize is that they are really focused on user experience. Tesla is continually measuring how people use their products. Then they iteratively optimize everything about the car, from the touchscreen UI to actual car performance, while observing how people react to the changes. There’s a lot of other industries where you’ll see companies making changes like that, like healthcare, which is a competitive industry where the user experience has traditionally not been a priority. What sets the HS2 Solutions team apart from other teams you’ve worked with? I often tell people that my number one goal is to make HS2 Solutions as successful as possible so I’ll never have to work anywhere else again. We have a great combination of people who are very good at what they do and who really enjoy their work, which creates a very high-energy environment. Our first core value is putting the customer first, but our second one is to create a healthy work environment, ensuring that people are fulfilled by the work they do and that they have time to spend with their friends and family at home. We don’t have a foosball table or a dusty Rock Band set, because we’re not interested in creating those artificial fun experiences. We get our enjoyment during working hours by doing great work together for great clients. It’s easy to imagine situations where those two core values conflict with each other. What can you do as a company to prevent that? Failing to continuously look ahead can cause things to spiral out of control until people are scrambling, putting in all kinds of extra hours that would have been completely avoidable with more planning. We work at eliminating as many of those fire drills as possible, so that when we do have to work past dinner or pull an all-nighter, it’s a real exception and it’s because there’s a real fire. 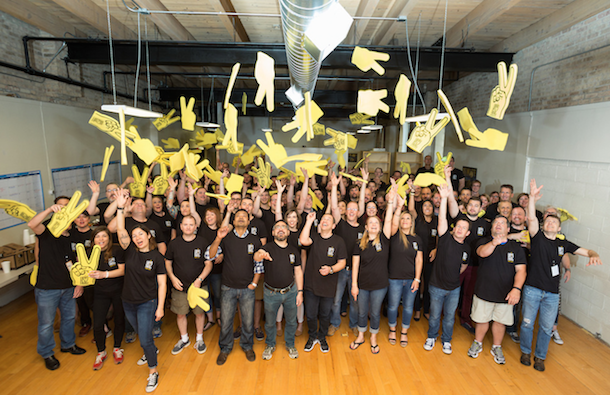 How do you find the right people for building that kind of culture? We bring up those values early in the interview process, because if someone isn’t interested in supporting a positive and healthy workplace culture, it’s just not worth their time or ours. But one of the great things about HS2 is that we get a lot of referrals. It kind of becomes self-fulfilling when you really focus on hiring the right people for the right reasons and protecting your culture. If you have all the skills in the world but you don’t have people who can work together, you’re never going to get anything done. You can have a team of the most elite people in the world, but a team that can work together well and is focused on a goal will beat them every day of the week.